Join me to this spectacular place known for its breathtaking landscapes and remote, long forgotten atmosphere and Viking culture. 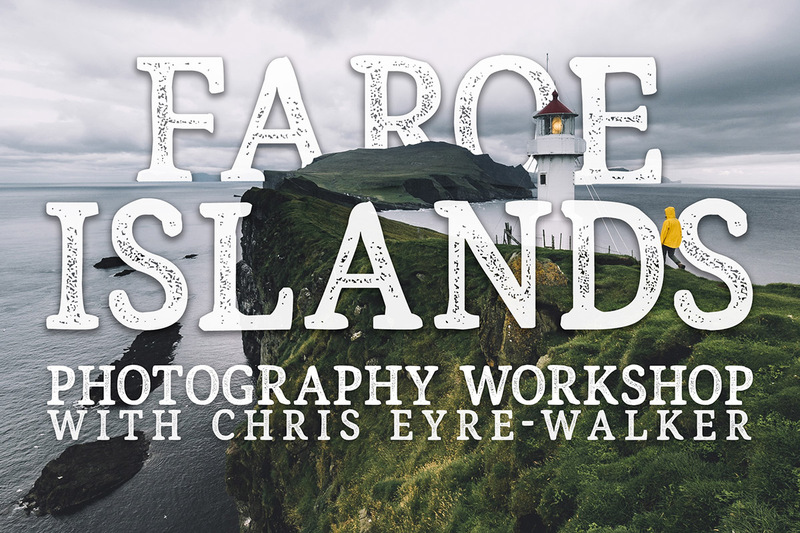 With multiple photo trips to the Faroe Islands, I have come to know the place and how to capture it’s essence. It’s one of my favourite photography locations in the world! April is the transitional season between winter and summer. The tops of the mountains will be snow-capped and the grass in the lower parts deep yellow. The weather is rough at this time of the year, but the atmosphere and mood are unmatched. Traditional, grass roof villages, churches, wind swept islands and towering sea cliffs are a few of the unique landmarks of the Faroes. We will spend 7 days exploring and photographing the country by car and boat and on foot. This is not an ‘easy workshop’. Be prepared for harsh weather conditions. Most of the photo spots require a short to medium length hike. A general level of fitness is therefore preferable. Your camera equipment should be up for these conditions too. We will spend a couple of nights in tents in the middle of nowhere, away from phone signal and civilisation. You can expect to discover places no foreigners have been seen before. Abandoned village, ruins, hidden waterfalls, mountain tops and sea cliffs. It is going to be WILD! The group is limited to 5 people. This will allow me to teach each and every one of you and meet your demands and answer your questions and keep the group atmosphere friendly and personal. We will also spend one afternoon with a local friend of mine, who will share his knowledge of the unique Faroese culture as well as cuisine with us. He is also an outdoor guide and will join us in some of the remoter locations. Each day we will venture to a new location and upon return to civilisation, I will go through post-production and editing part of the photography workflow. The accommodation is included in the price. It’s a nice hotel in Torshavn for most of the nights. Twin bedrooms. (Single room available on request and additional cost). All meals are also included at the hotel with one last meal in town. Lunch will be in form of lunch packets on location. Alternatively, restaurants are a short 10min drive / 25min walk away in the centre of Torshavn. 2 of the 6 nights we will spend in tents on location. This allows for longer hikes and time to capture the golden sunset and sunrise light. There are regular direct flights from Denmark, England, Iceland and Norway year round. Copenhagen Atlantic Airways has several departures every day and fly from Billund twice to five times a week depending on the season. Click to book flights. transport as soon as you arrive at the airport incl. tolls. Greater than 60 days from the start date of the Workshop: full refund minus 300€ fee. Message Chris below and he’ll get back to you within 48 hours.